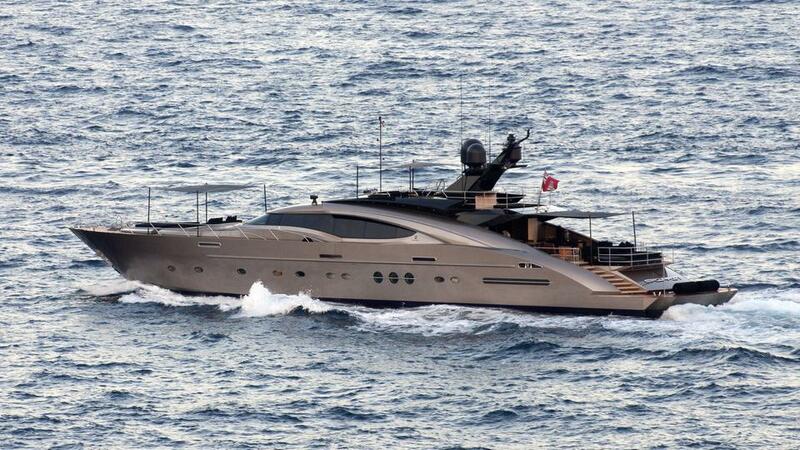 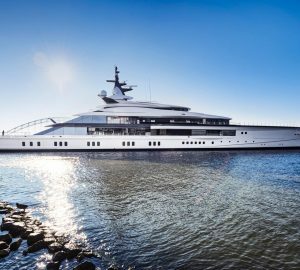 42m/136ft motor yacht GRIFFIN was built in 2012 by Palmer Johnson and features the exterior styling of Nuvolari-Lenard. 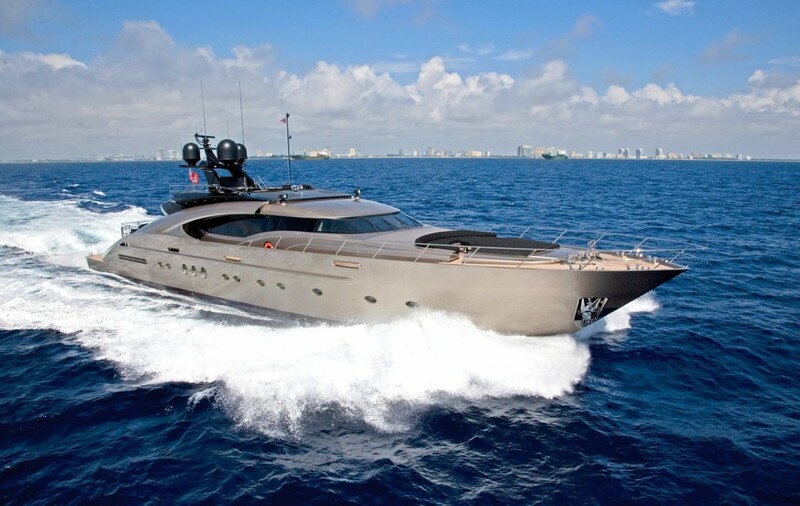 Capable of a top speed of 30 knots and a cruising speed of 27 knots, motor yacht GRIFFIN is ideal for visiting multiple destinations within a short period and for island-hopping. 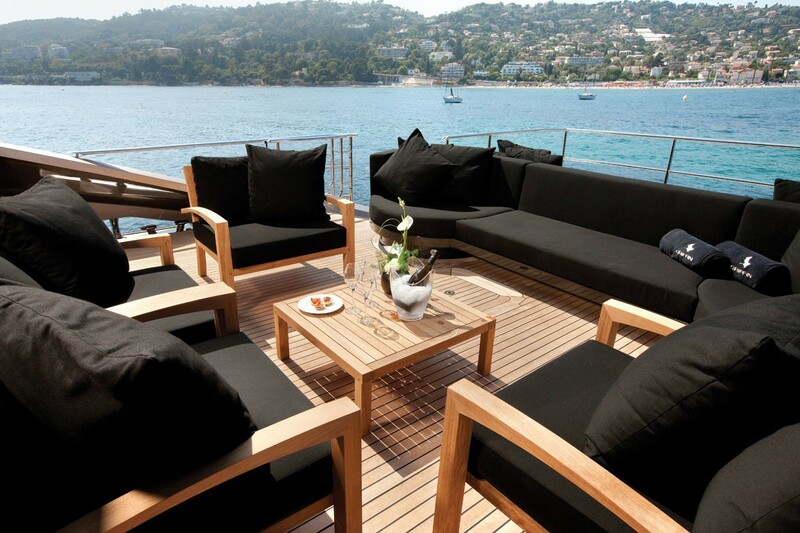 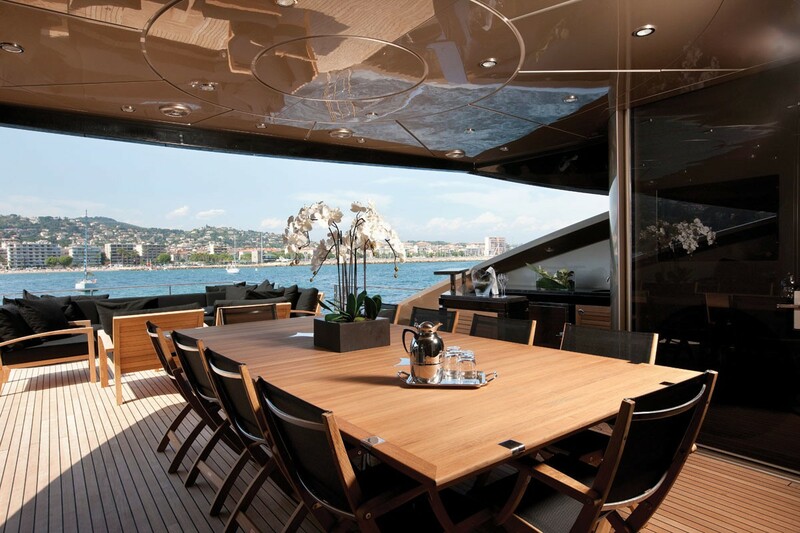 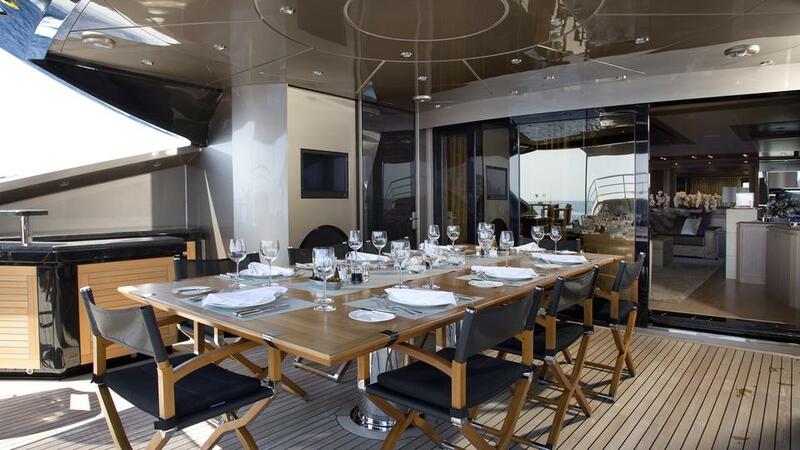 The main deck cockpit has a circular alfresco dining table able to seat six guests, and after a filling meal, the stern has a generous alfresco lounge consisting of plush armchairs and a matching sofa. 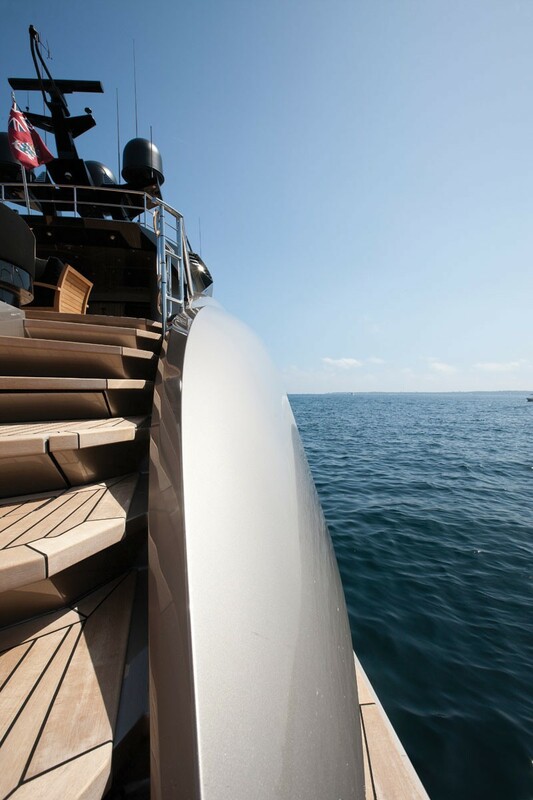 Also, the areas along the stern leading down to the swim platform are fitted with a broad section of sun pads. 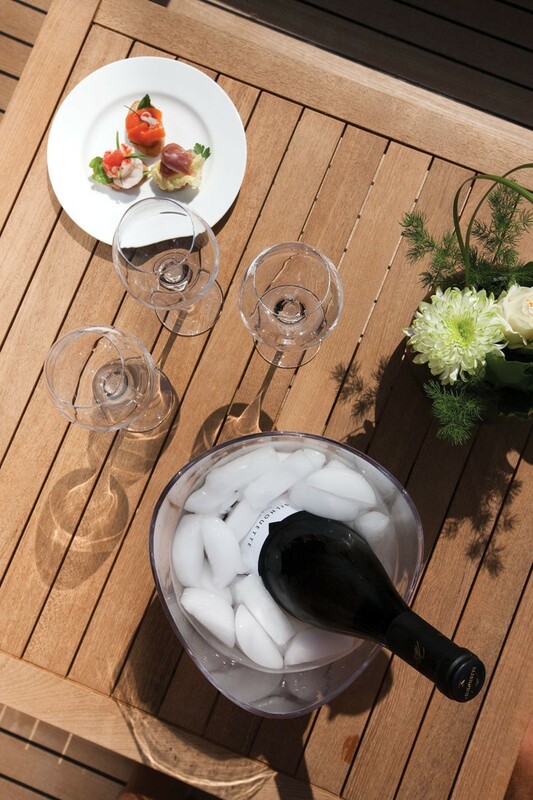 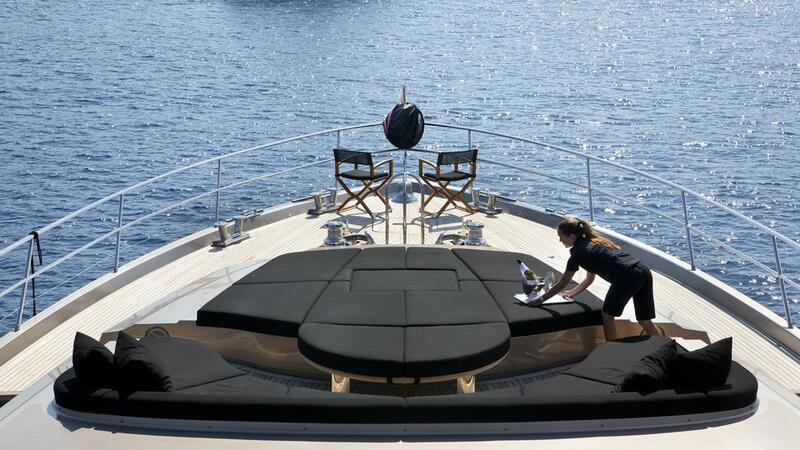 Guests have an additional outdoor relaxation on the bow, where an alfresco seating area with a table and a large sun pad section fills the space. 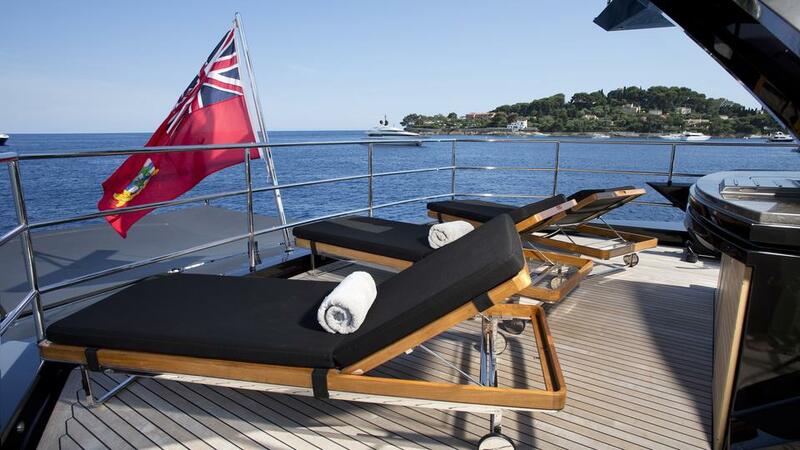 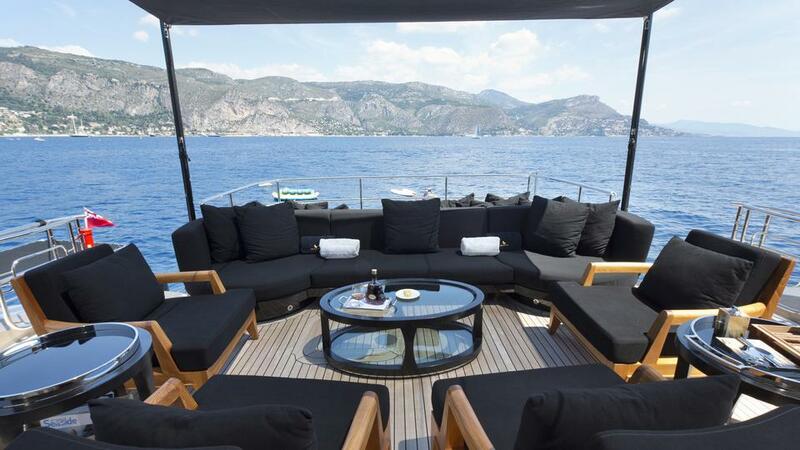 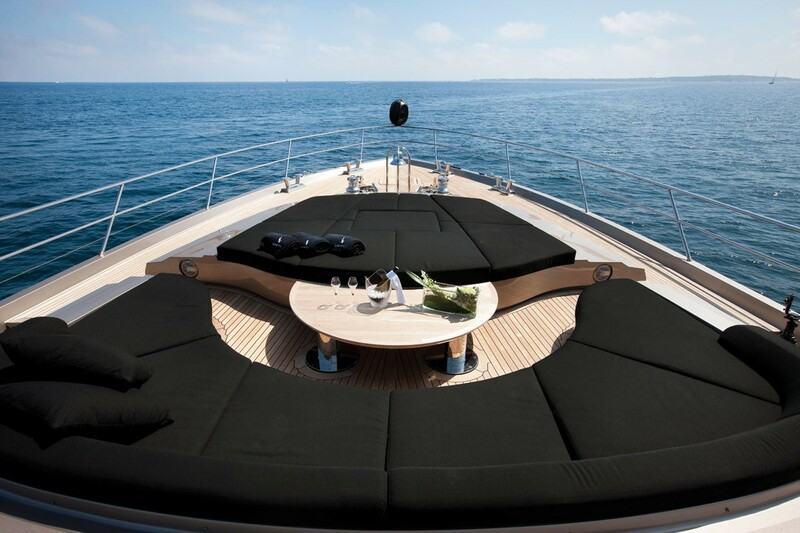 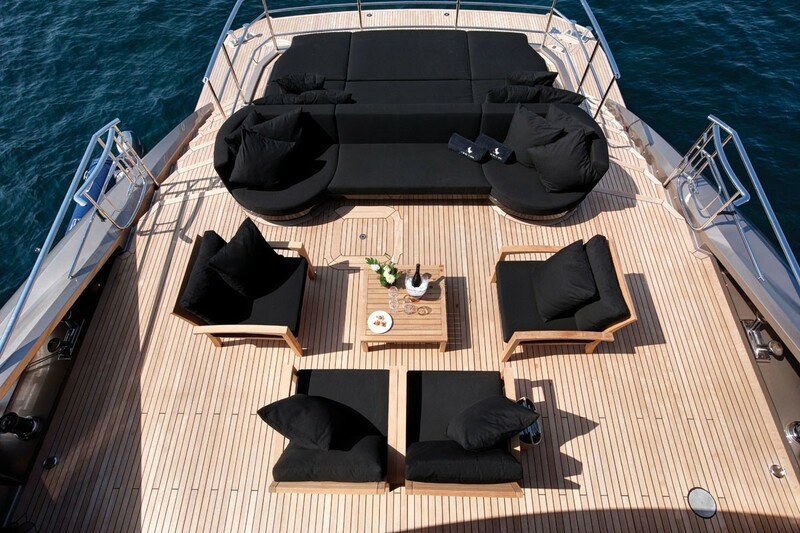 The sundeck is designed for enjoying the sunshine, and the views and sunpads are located either side of the sofa along the forward section. 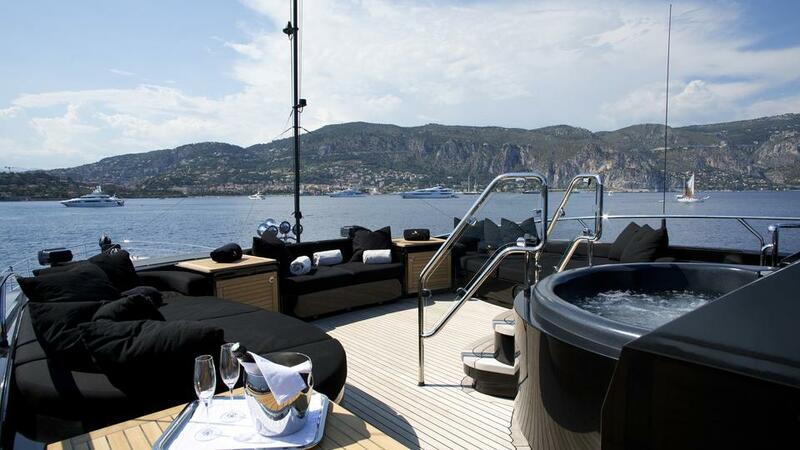 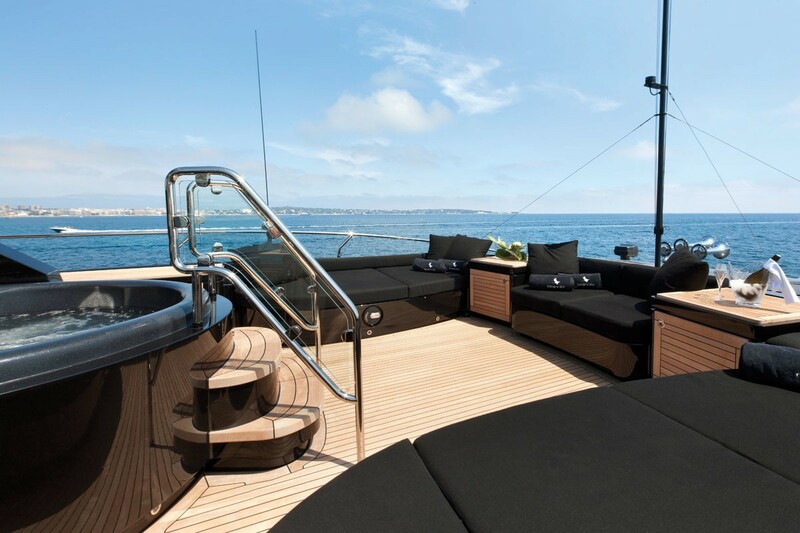 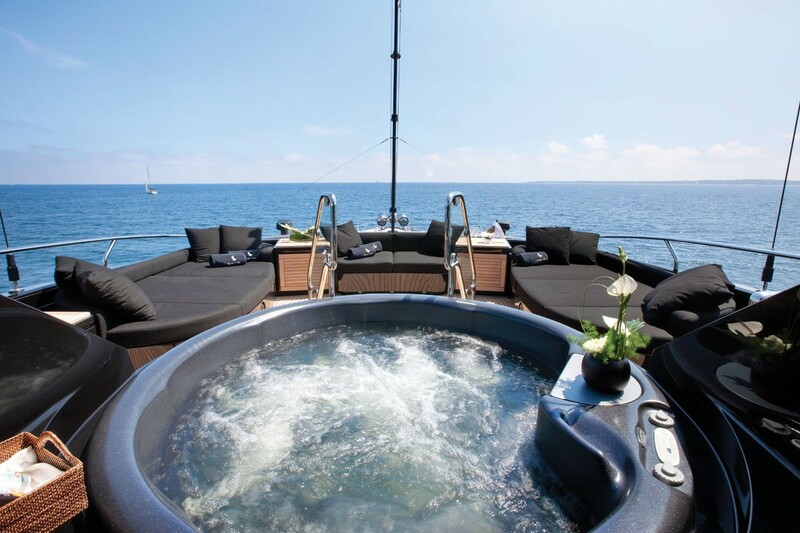 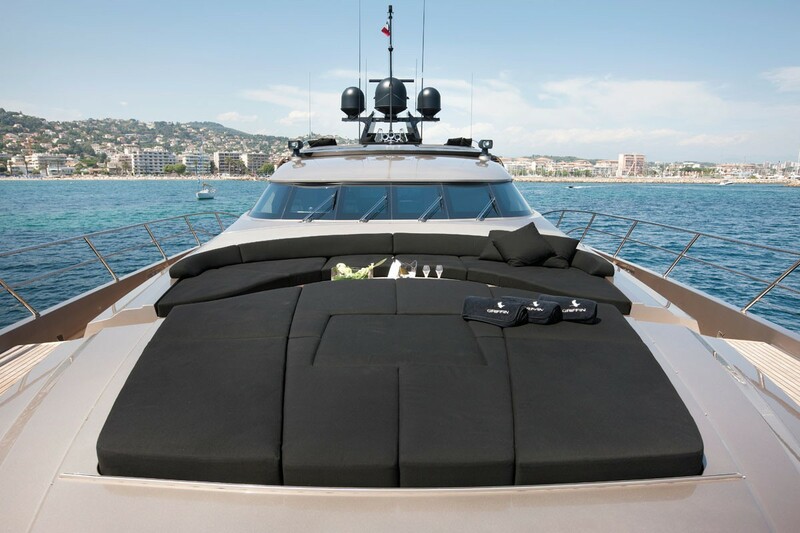 The aft contains sun loungers while the sundeck mid-section has a raised Jacuzzi. 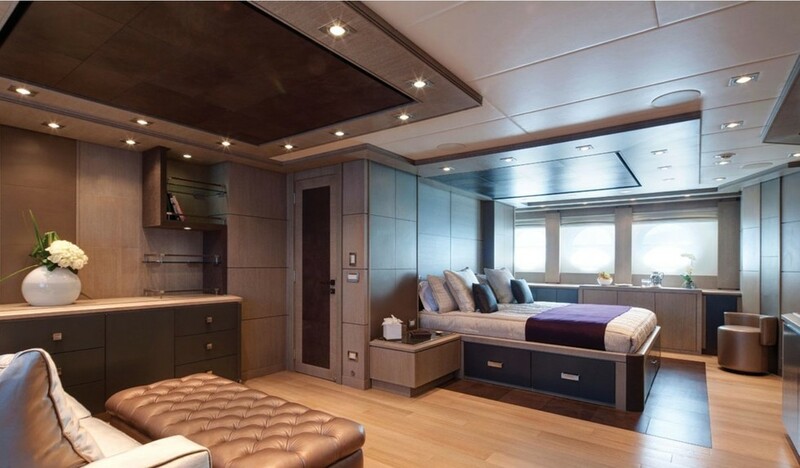 The main deck has a stately contemporary salon fitted with light wooden panelling enhanced by satin sheen furnishings in neutral colours. 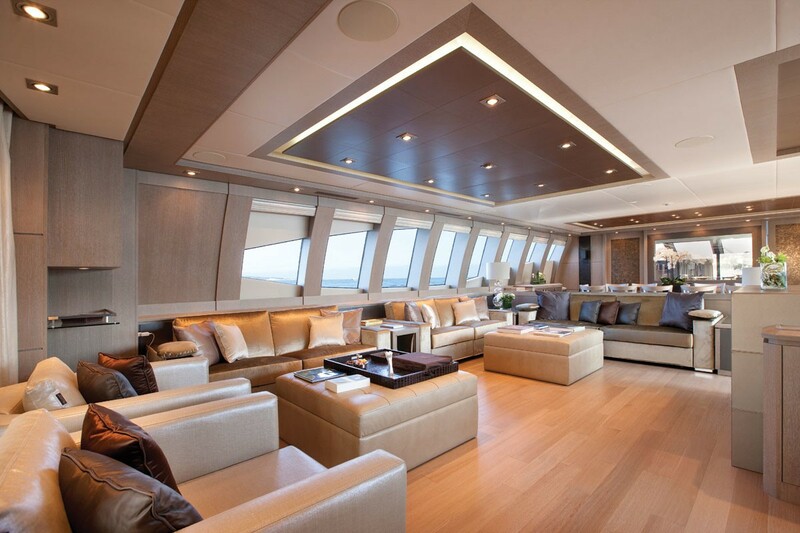 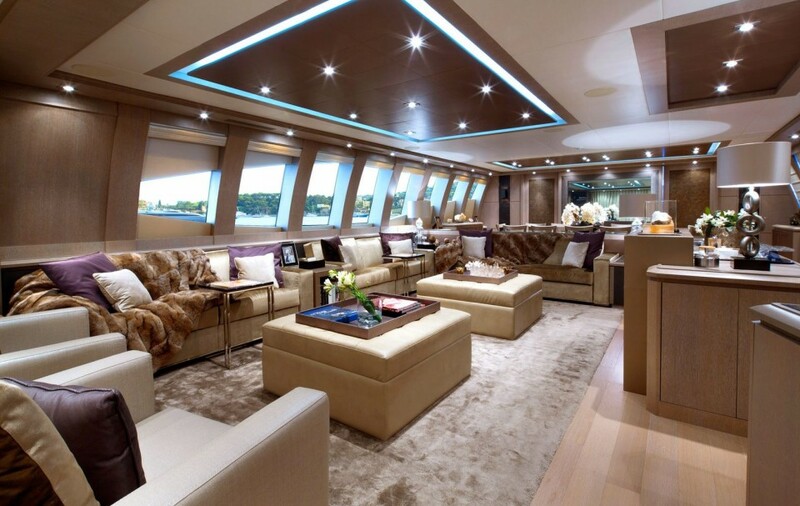 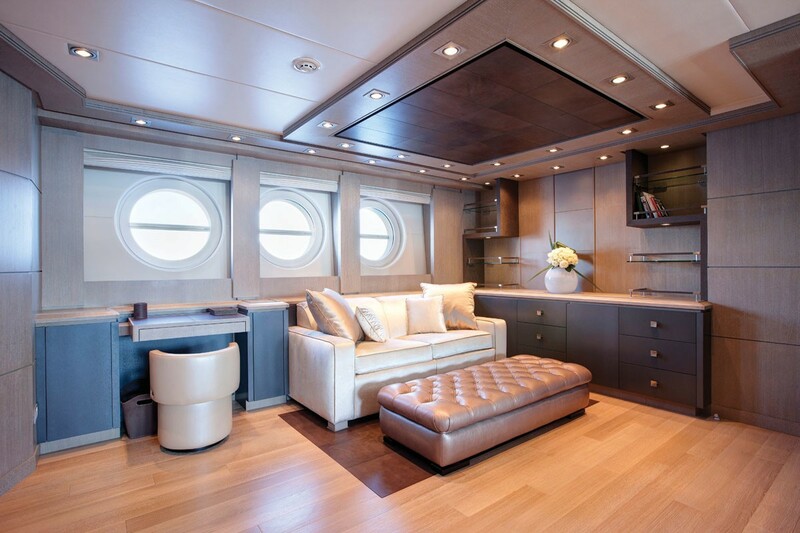 Two large sofas on the port side receive plenty of natural light from the windows, while a third sofa separates the lounge from the formal dining area. 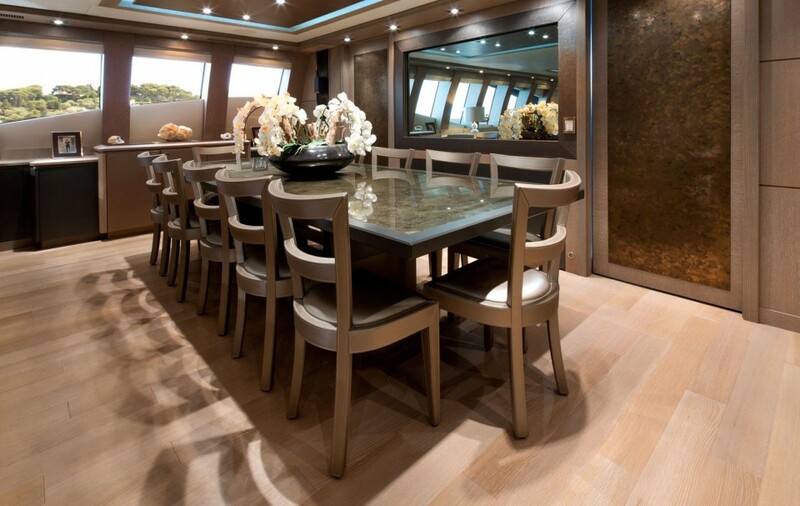 The formal dining area is capable of seating up to 12 guests for a memorable meal among guests. 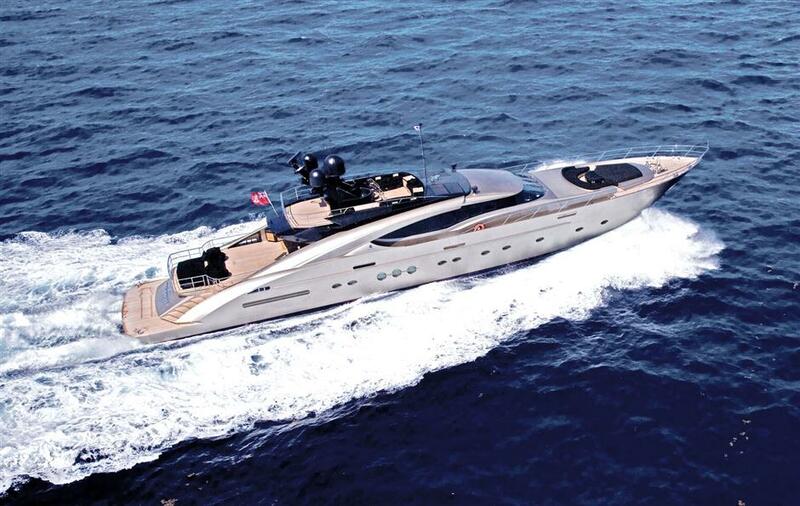 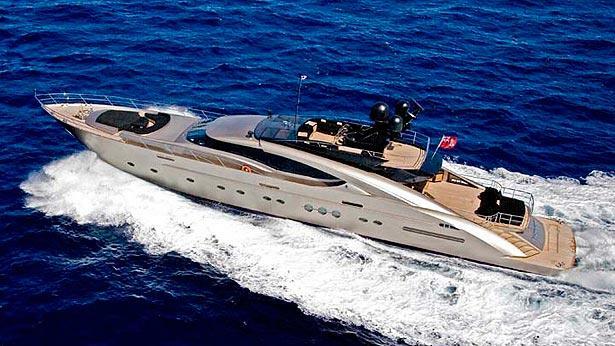 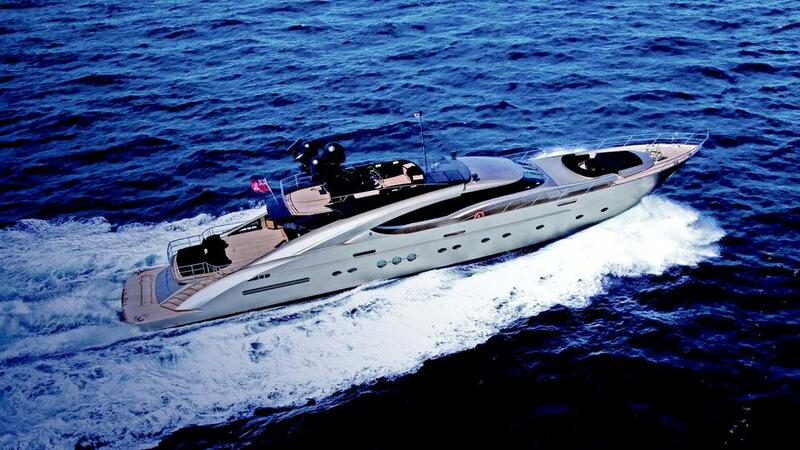 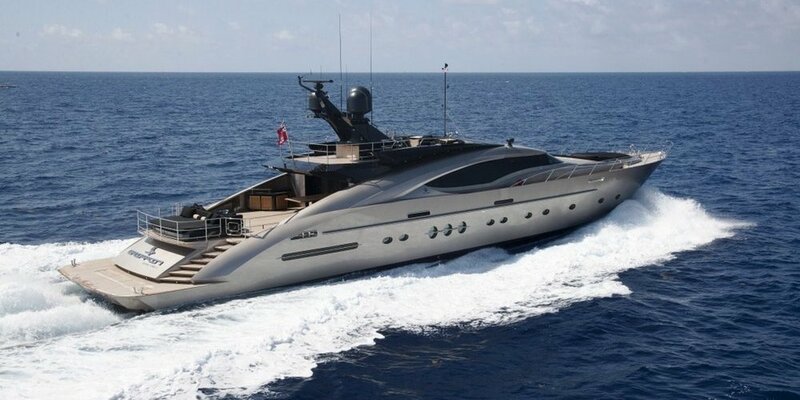 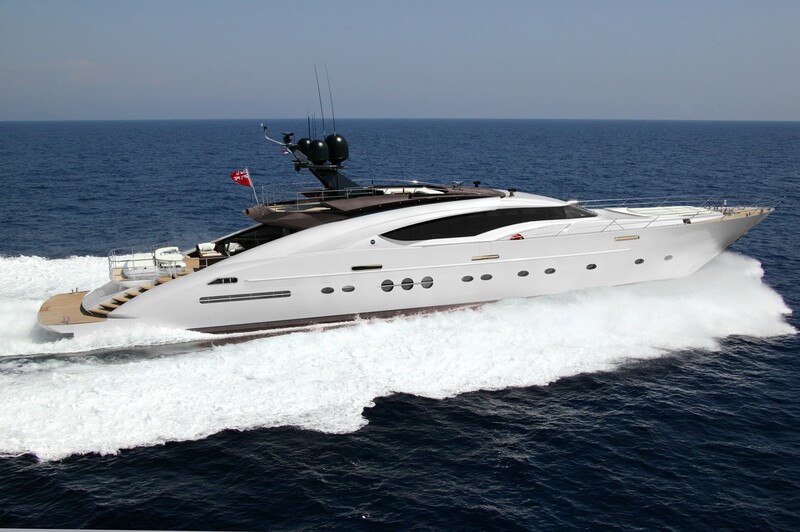 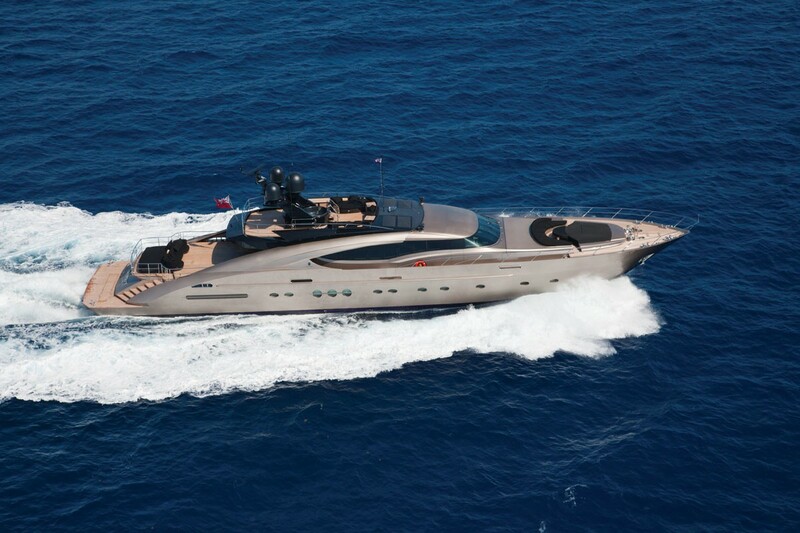 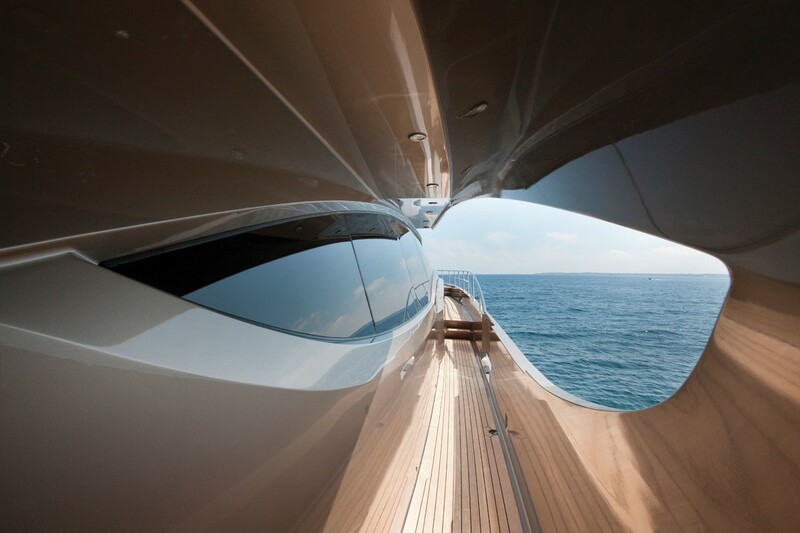 2 x MTU diesel engines allow superyacht GRIFFIN to achieve a top speed of 30 knots and a cruising speed of 27 knots. 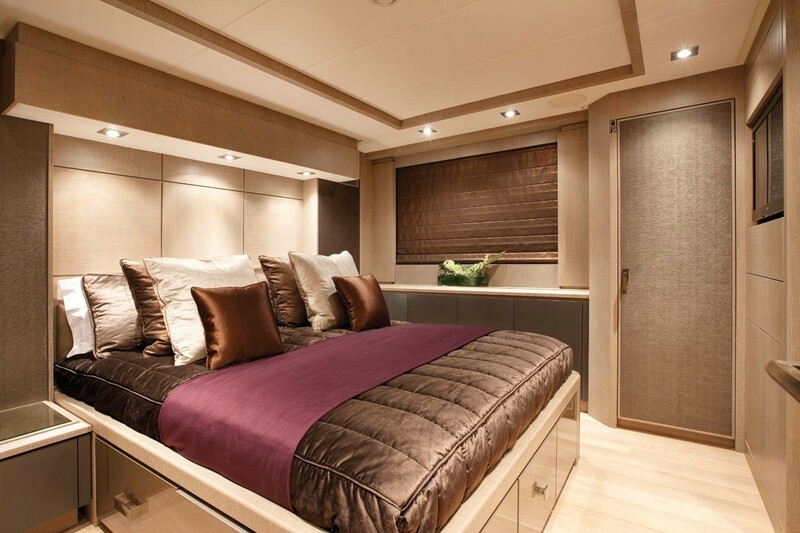 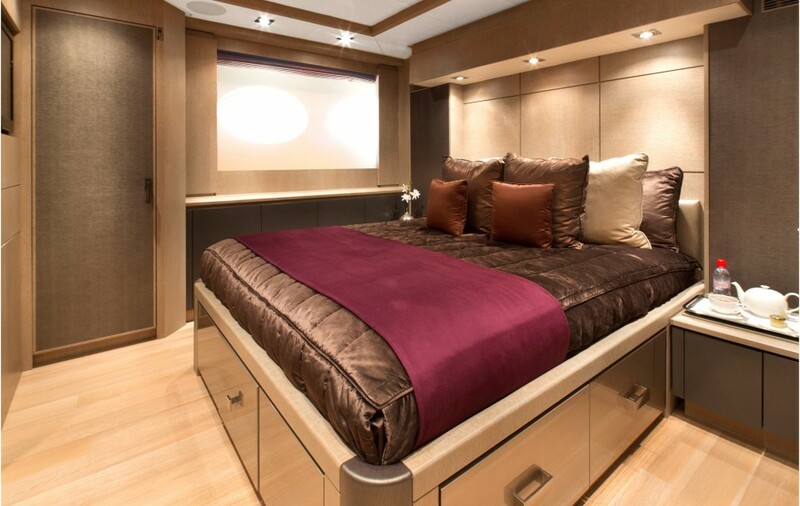 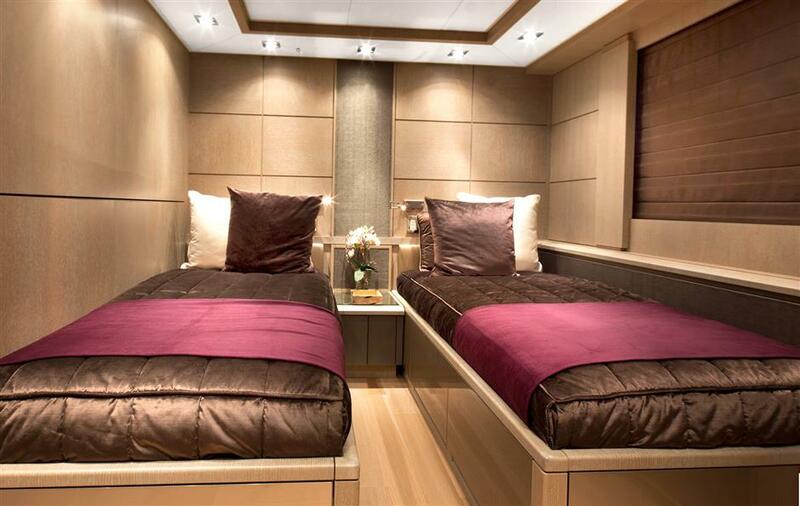 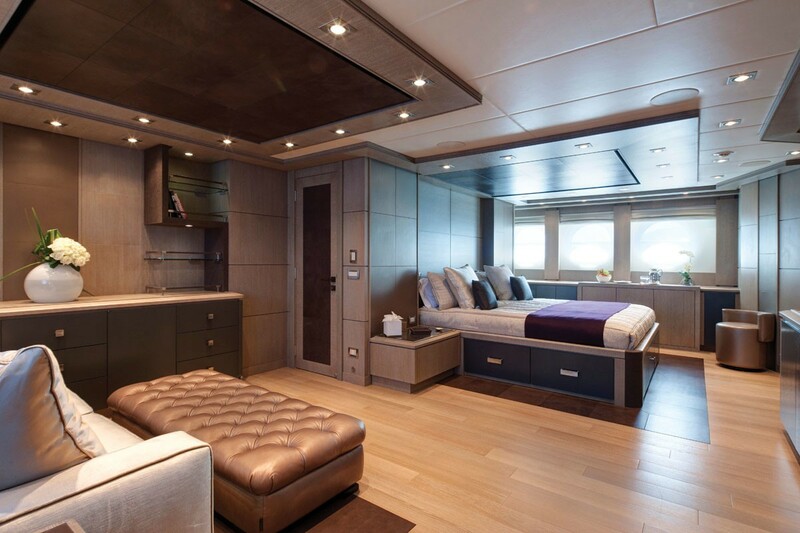 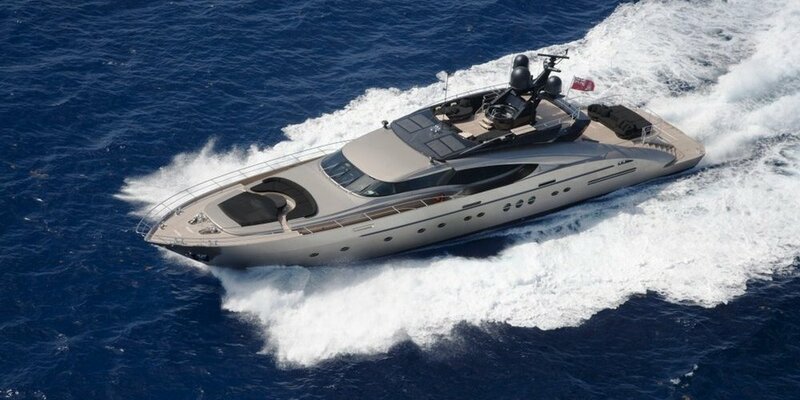 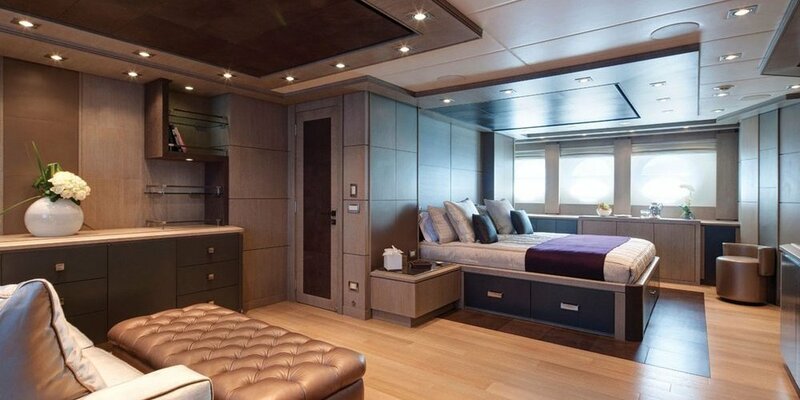 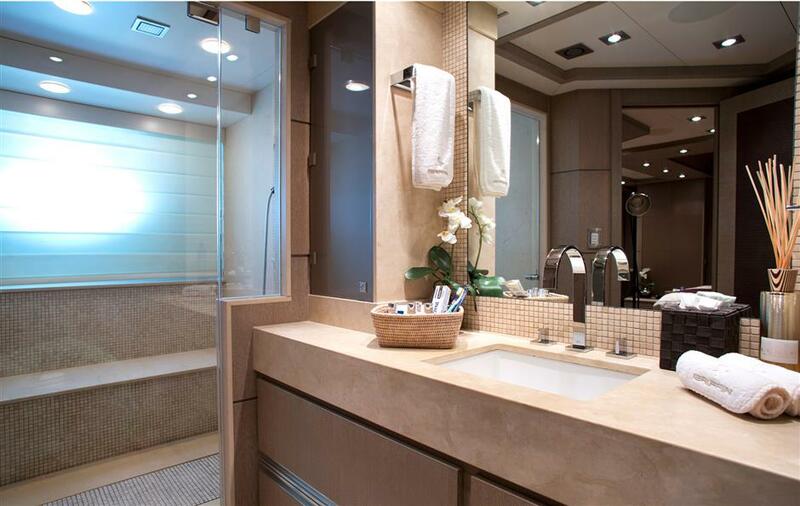 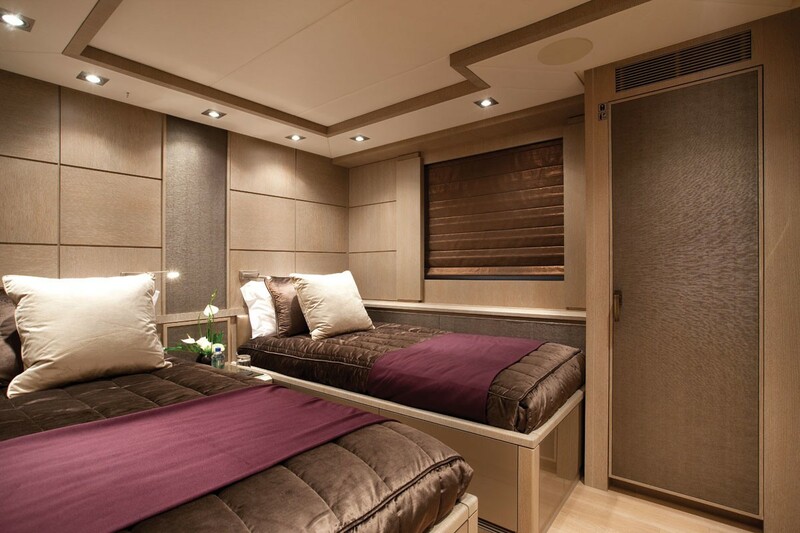 Palmer Johnson 135 luxury yacht Griffin can accommodate 10 guests in comfort and style, providing 5 beautiful cabins. 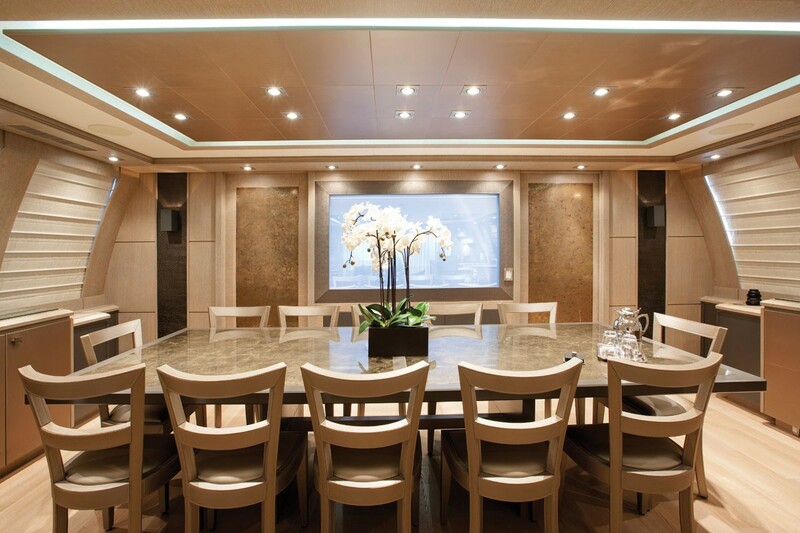 She is managed by an impeccable crew of 7 professionals. 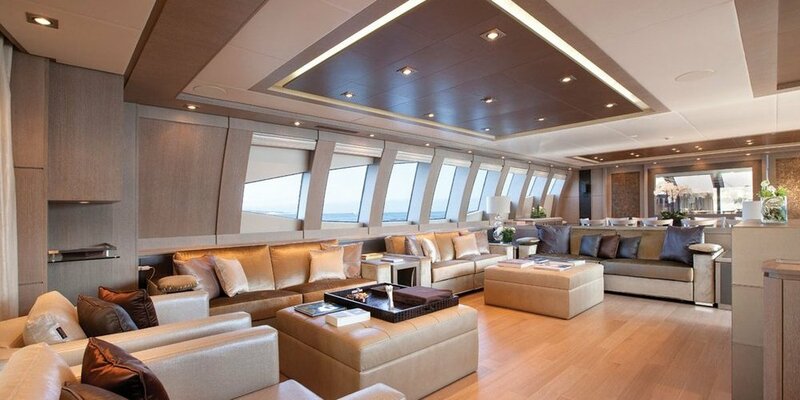 The generous additional beam width allows for a larger sundeck, impressive fly bridge as well as popular Spa Pool.